SlickVPN protects your privacy and prevents anyone from monitoring, throttling, and buffering your online communications and internet activity. "SlickVPN protects the privacy of your communications and Internet browsing. " I love surfing the internet in an anonymous way because I can review the pages and the information I want with all the privacy, being a great advantage when I want to review certain information that I do not want anyone to follow my browsing activities. I like the SclikVPN interface because it offers an innovative, eye-catching, colorful and easy-to-use view, so I can work without requiring technical advice. I am pleased that the processes of protection and use of the VPN are simplified and well defined, which allows you to use it with ease. It is nice to have professionally qualified tools and applications aimed at protecting my identity, privacy and confidentiality of all information and navigation of internet activities. I do not like that it is a slow program, and that it informs with some delay the monitoring of the intromission to the information, which puts the danger of privacy. I believe that they should work on strengthening security to guarantee the privacy of users. I recommend the use of slickVPN because thanks to its tools I have managed to protect my privacy, protect my anonymity to the navigation activities. It is an easy to use program that does not require technical advice because anyone can install it and use its tools. Present problems of intromission to my email and suspicious trace of my information, consequently I decided to work with SlickVPN to protect my communications and navigations. The selection of SlickVPN for the protection of privacy and the anonymity of navigation activities has been an excellent alternative. I have taken full advantage of the potential of the program because I use it continuously to protect my information. "Program designed to protect the privacy of communications and internet activities. " I like that it is a fast program with an accepted level of security. I like the compatibility of the SlickVPN program with windows because all my computers have this operating system, being an excellent advantage because it protects me the privacy of my information, communications and web management. I like that I can surf the web in an anonymous way because in this way I can review the information I need with the necessary privacy. I like that it detects the intromission in my mail accounts etc, being an excellent measure because it allows me to take actions quickly and efficiently. I do not like slickVPN which is a program little recognized by the professional community. I do not like the image of the web page, nor of the program because I consider that they show a little technical and innovative image. I think they should work on designing a more showy program. I believe that they should simplify the processes because they tend to be complicated when you work them for the first time. It is a very safe and complete program that can be used with ease for the protection of your privacy and anonymity of the navigation activities. In view of the generalization of the program, there is a greater number of people than qualified to track your information, so I took the foresight to use slickVPN to protect my browsing activities and the privacy of my studies and professional investigations. It has been an excellent benefit because I can protect the information and communications in an efficient way avoiding that any person can have access. What Virtual Private Network (VPN) solution do you use? "SlickVPN protects your online communications and Internet activities. " I like it because it protects communications through a more secure communication by implementing additional breaks in the internal network. through the application of this program prevents anyone from viewing my communications and information. It is nice to have a tool that protects my privacy providing a higher level of security. Thanks to SlickVPN you can use the web anonymously so that you can not identify my IP address. I have the option to make purchases and jobs without anyone being aware of exactly my location or my navigation on the network. I like that it is an easy program to use and configure in any electronic device. I do not like the image offered by the SlickVPN website, I think it is unpleasant, creative and innovative, should apply usability studies to improve the image of SlickVPN to make it more attractive to the user. I do not like the installation process of the application because it is complicated, they should work on simplifying the process to make it easier and more practical. I recommend the use of SlickVPN because it offers a set of work options that allows us to protect our confidential information, achieving a safer and more protected job. through the application of slikVPN in the organization we have managed to avoid the theft of the confidential information of the organization, considering that it represents the base for the growth of the company because we need to safeguard the advances of the investigations, studies and statistics that help us to take most accepted and precise decisions. The organization has a better security of their privacy and personal and own information. "The security and freedom at your service." I am very happy since I use SlickVPN, mainly because I have the security that my navigation is protected, additionally, I can access any page of the world without restrictions. Being in Venezuela it is vital to have a reliable VPN service and with extensive capabilities, I've gotten it with SlickVPN, a very easy to use and multiplatform tool, which helps me a lot to enjoy access to the internet in all my artifacts. I have been using it without major inconveniences, for that reason, I can not identify something that bothers me or displeases me, I am very satisfied so far with everything that it offers me. Of course, it is one of the best options in the market, living in Venezuela, with limitations to access broad content, using SlickVPN has become a necessity for my work and for the handling of information, so I know that friends, Family members, and colleagues will use it after I tell you about my experience. In my country the internet service is controlled by the state, so much that access to normal pages to access information is restricted, that is why using SlickVPN is one of the best things that has happened to me. It has benefited me to achieve distance contracts without limitations when executing them, I can access the portals that clients and contractors enable me for work, I have obtained double benefits, personally and professionally. "Best VPN Service On The Market"
The android app is not available, which could make it a little easier to use - but use OpenVPN to connect - which is easy to use. Especially with BlackFriday coming up, I would highly recommend jumping on board with one of their expected yearly specials. With the VPN, it provides us the ability to review the digital landscape of our clients without bias. As annoymous we can be on the web, it provides a clean look at how other users are finding the information and digitial properties of our clients on the web, without the personalized results Google and the like enforce. "Best VPN software I have used." The ease of finding the location, and switching between them was really great. No lagging on most websites, and very rarely would it have to reconnect mid-use. There weren't as many options for the US compared to some of the other VPN software I have used. This service is simply better thanks to the ease of use. Switching between the VPN's is flawless with very little to no lag. We have used countless other services and this was our top pick. We are able to sign contracts without having to be in the same state as our clients, and able to access documents we wouldn't have been able to without it. This is probably one of the fastest VPNs Ive dealt with, Didn't have any issues or notice any speed issues. I also love they allow multiple ways to pay. I dont really have any dislikes at this time! They offer 128 to 256 encryption levels, they also do not log any of your traffic or information! So you have piece of mind that nothing is stored in their system . They are also located in over 40 countries so pretty much anyone can use them. Im able to take care of business needs seamlessly with no hiccups! "The fastest VPN I've used "
Interface is easy to use. Slickvpn never throttled my speeds. Well, I've to think about this. Suggests that there haven't been any reason to dislike it. If you're looking for a high-speed VPN, Slickvpn would come really handy. I think the speeds and servers have been reliable for me in the long run. Wouldn't shy away fro recommending it. * We monitor all SlickVPN reviews to prevent fraudulent reviews and keep review quality high. We do not post reviews by company employees or direct competitors. Validated reviews require the user to submit a screenshot of the product containing their user ID, in order to verify a user is an actual user of the product. Hi there! 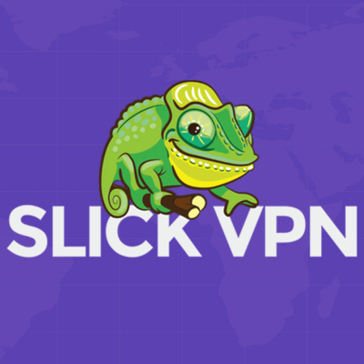 Are you looking to implement a solution like SlickVPN?